Know What You're Made Of is a nationwide Aveda advertisement campaign that reemphasizes the natural ingredients that go into Aveda's products. Along with that, Aveda staff members have been sharing the "ingredients" that make up who they are. Crimson will do the same thing by featuring different staff members and what they are made of. This month, we are featuring our wonderful owner, Nova Jiongco. Nova is a proud mom of two amazing girls, Layla and Presley. She loves spending time with her girls and is very proud of their many accomplishments at such a young age. Another "ingredient" that makes up Nova is her entrepreneurship. She has been the gratified owner of Crimson Salon and Spa for going on 12 years. Nova has always loved the small business community, and looks forward to continued growth with the partnership of her dedicated staff, support of her community, and love of her family. Lastly, Nova considers herself a coffee enthusiast. Her favorite kind of coffee is a Red Eye, coffee with a shot of espresso, which helps give her a jump start to her day. 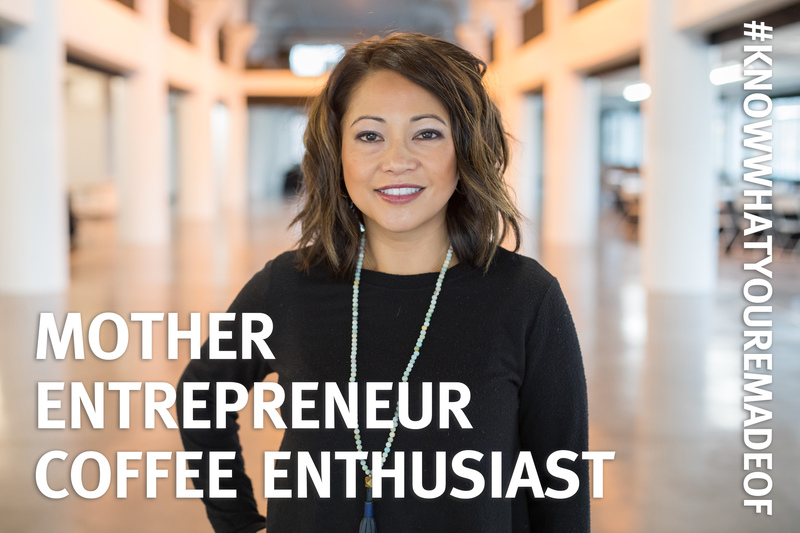 Nova loves her family, her work, and her coffee, and considers those to be the main ingredients that make up what she is made of.